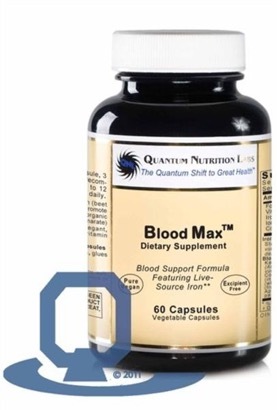 Blood Support Formula Featuring Live- Source Iron. Blood Max™ is a quantum-state blood support formula featuring live-source iron (beet and rice bran-derived). It does not contain inorganic sources of iron (such as ferrous fumarate). It offers two important key blends: Iron Elite™ and Blood Advantage™ for optimal blood support.